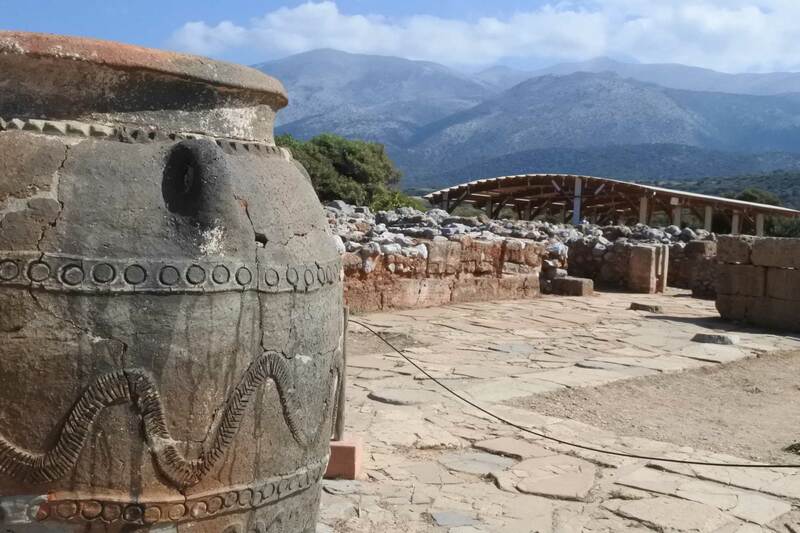 Located a few minutes by car from Creta Maris Beach Resort, the fabulous Malia Minoan Palace is a lesser known treasure of Cretan antiquity. Less famous than Knossos Palace and Phaistos, the seaside archaeological site is striking for its serene location and fascinating legends. 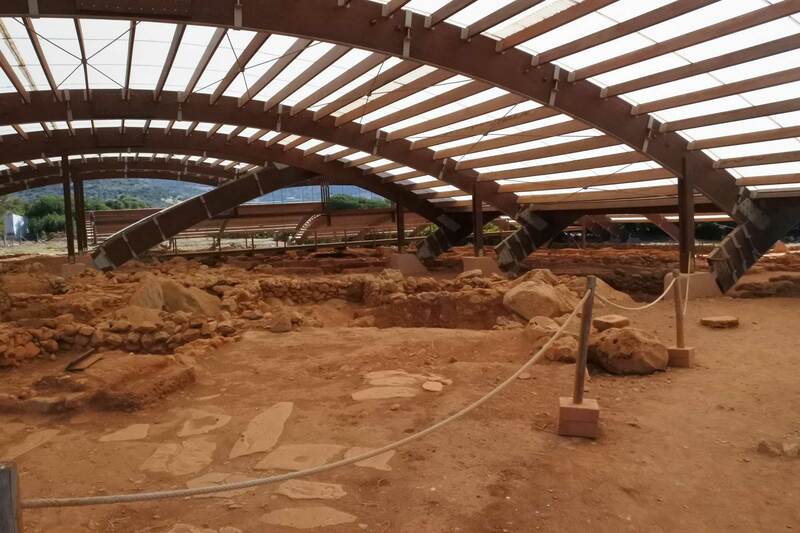 The third largest of Crete’s Minoan palace on the island, the Malia Palace was, according to the Cretan myths, the seat of King Minos’ brother, Sarpedon. History and legends meet where Malia’s ruler is concerned since his banishment from Crete by his brother Minos led to him becoming king of legendary Lycia, and one of the heroes of the Trojan War. As for the remnants of his palace, the grand city built around 1900 BC was later destroyed and rebuilt in between 1700 and 1650 BC. Ultimately the Malia Palace was devastated by fire and deserted after 1450 BC. 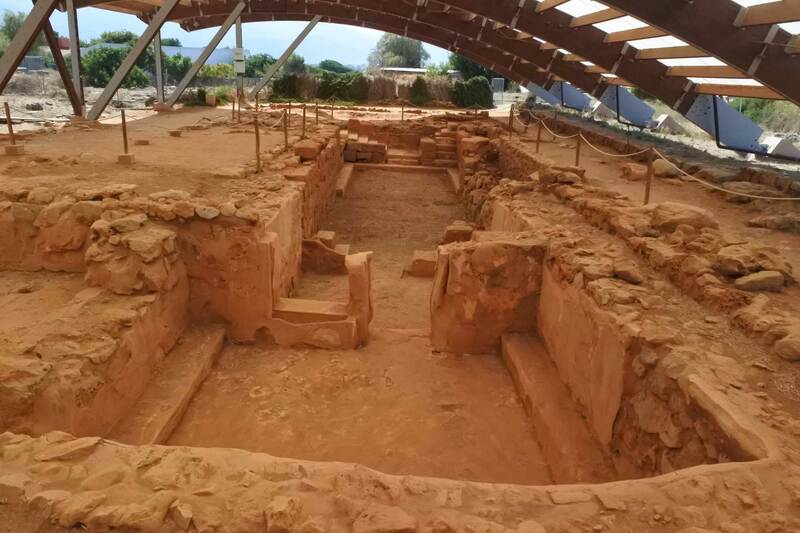 Unlike Knossos, the Malia Palace sits today as it was when archaeologists first discovered it – no reconstruction works attempt to restore some of its halls or mosaics to give visitors an idea of former glory. However, visitors can still see a small-scale model of the former structure exhibited at the Malia site’s information center. 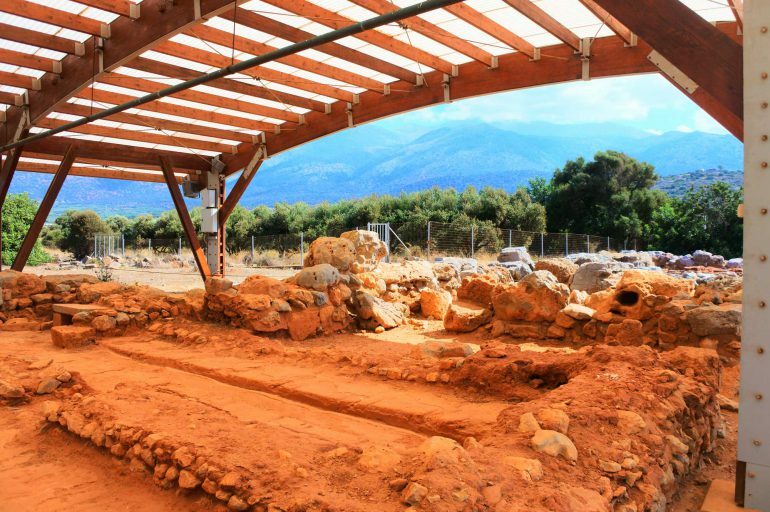 Archaeologists believe Malia Minoan Palace life was essentially the same as that of the other significant palaces of Crete. While the original name of the city is still unknown, it’s thought to have been called Tarmaros. Besides being a major societal and religious hub, the fact the city minted its own coins suggests its widespread importance. The key points of interest for visitors are to the west side of the ruins where there are the warehouses, the royal rooms, and a weapons room. Also, of great interest is the more recent find of the hypostyle crypt, which is a large underground room thought to have been used as a council chamber for local dignitaries to congregate and discuss political matters. While visiting the Malia Minoan Palace, it’s important to follow the maps, descriptions, and guidelines to get the best experience. As an example, the untrained observer would surely miss a roundtable in the central court that contains little cavities around its edges. This table is believed to have been meant for seed offerings to the gods to ensure a fruitful harvest season. Also, don’t miss the necropolis situated about 500 meters north of the palace, where you’ll find the royal burial enclosure, which was undoubtedly the burial space for those who ruled the palace. It is here that the world-famous Bee Pendant that now sits in the Heraklion Archeological Museum was discovered. The palace is open year-round, however, opening hours are seasonal – for example, the palace opens later and closes earlier in the colder season than in the summer. Admission is free for students and young visitors, journalists, and guests of the Greek State, holders of a free pass, and more. All other visitors pay as a small entrance fee – 6€ or discounted 3€ as of 2018. Free admission days for all visitors include the International Monuments Day on April 18, the International Museums Day on May 18, the last weekend of September annually during the European Heritage Days, and the first Sunday from November 1st to March 31st, among other dates. The palace is closed on national and public holidays. More information on admission you will find here. All images © Mihaela Lica Butler. Used with permission. 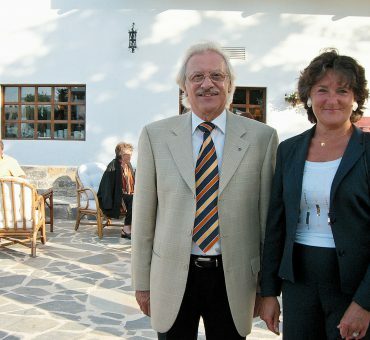 Celebrating 45 stays in 25 years in Creta Maris: Meet Mr & Mrs Ost!